VacShack carries Vacuum Cleaners, Vacuum Bags, Carpet Cleaning Machines, Air Purifiers, Cleaning Supplies, chosen personally by one of our staff to improve the quality of life and health for you and your family. This is our commitment to personal health, indoor air quality and the environment. We are extremely proud of the Made in USA Kitchen Gadgets and Personal Care Products that are our most recent additions. Owned and operated by Stephen Fuhrman, a 30-year veteran of vacuum service and repair, and his wife Jeanie Jones, a lifetime human relations and environmental enthusiast, VacShack was first started by in 1995 in Northern California. 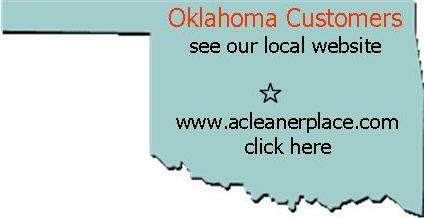 In 2006, we moved to Oklahoma, centrally located, so we can serve more customers quicker. Questions are answered by one of the owners or a member of our family-run business. If you have a general or product question, give us a call at 405-491-9500 or contact us here. Looking for product/cleaning advice? Take a look at our website dedicated to product reviews and cleaning tips all written by Jeanie. jjscleanandhealthyhome.com We hope you will find it reader friendly and very informative.